Pelican Water Systems www.pelicanwater.com is a Florida based manufacturer and retailer of salt free and salt based water filtration and softener systems for drinking, cooking and bathing. The whole home systems are sold to all 50 states, Canada and international markets. If you experience a problems with you system you may call the helpful folks at 1-844-216-2684. You may also find live chat the website’s homepage. If you would like to send a postal letter to the CEO, Iain Whyte you may address you letter to him at Pelican Water, 3060 Performance Circle, Suite 2, DeLand, FL 32724. The telephone number for corporate is 386-469-0138. To reach Mr. Whyte’s personal cell number call 386-469-7934. Although founders of Pelican Water have been in the water filtration business since the 1970’s the Pelican Water Company was formed in 2007. Their slogan is: “there’s no such thing as a silly question!” Social media presence may be found on Facebook, Twitter, Google+, and Pinterest. Pelican water softeners are a complete waste of money. I did a test last week against some over the counter water softeners and it came out exactly the same. Pelican keeps changing their name to avoid this, calling themselves pelican water technologies now. Don’t be fooled, same company, same overpriced junk! Water seemed hard, difficult to male suds with soap. You mean you have to put salt in a softener? Definition of “the end of the world” according to Brent: When the JetDri and water softener salt run out at the same time. Spent most of my morning installing a new water softener. I love having an excuse to get out the blow torch and melting some copper. I have had water softeners since building my home 31 years ago. I have been thru 2 Sears units and 4 GE units. All of them failed due to corrosion. After spending untold dollars on salt and softeners I discovered Pelican softener system. As in the past I installed there unit in twenty minutes. After following there instructions two things occurred. One was the smell of the improved and my skin after showering was softer. The salt from the previous softeners dried it out. So far its performance seems to be worth the expense. Here is my issue. I'm sitting here right now waiting on hold for customer service. Well, the service was terrible. Please correct this or I will be taking my business someplace else. Pelican has allways been my favorite product I use in the kitchen, but this is pathetic. How can anyone possibly afford something that costs $2,000. I live 9 1/2 miles from town and this was supposed to be a surprise for my husband. He has heard good things from friends about water softening systems. My friend from Grapevine told me to come to this website and leave my review of Pelican here. I bought one a few months ago and really love it, I completely disagree with her! I drink a lot of water in my house and so this was a wonderful time-saver for me when I fill up my jugs each day. 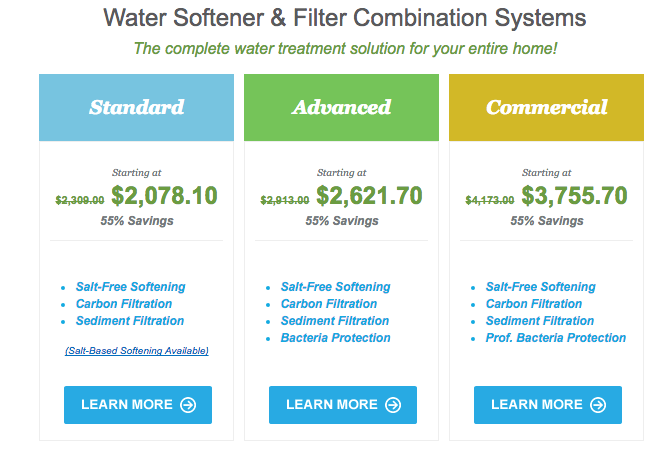 I am looking around at different water softeners online and do not know who to trust. It seems like Pelican is hiding any negative complaints against them by scaring a company into pulling them down. Do you have a bad experience to share about Pelican Water Softeners? I would hope that the company is transparent, but it does not appear that way when I look at reviews. Yelp in particular had a few bad ones that I checked, as well as Facebook. Have feedback for Pelican Water Softener?